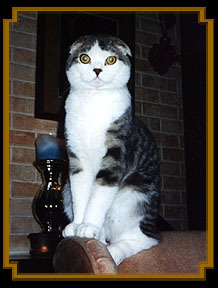 The Scottish Fold has a unique, round face. Ears can be folded or straight, but the desire seems to be folded. Large, round eyes full of sweetness. Rounded, well-padded body. TEMPERAMENT: Laid back and undemanding. A good companion as they will seek human companionship. Good with children and is usually not disturbed by a room full of them. 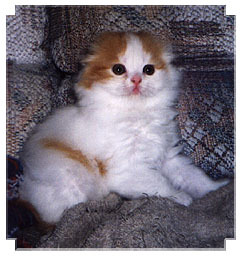 COLORS: Almost all colors but a Brown Tabby and White seems to be the most favored.